The sun peaks over the tree line illuminating the golden fields that span for miles in front of you. It is six am and within less than ten minutes the sun will have risen and it’s rosy flirtation with the trees and violet impression on the sky will have passed. 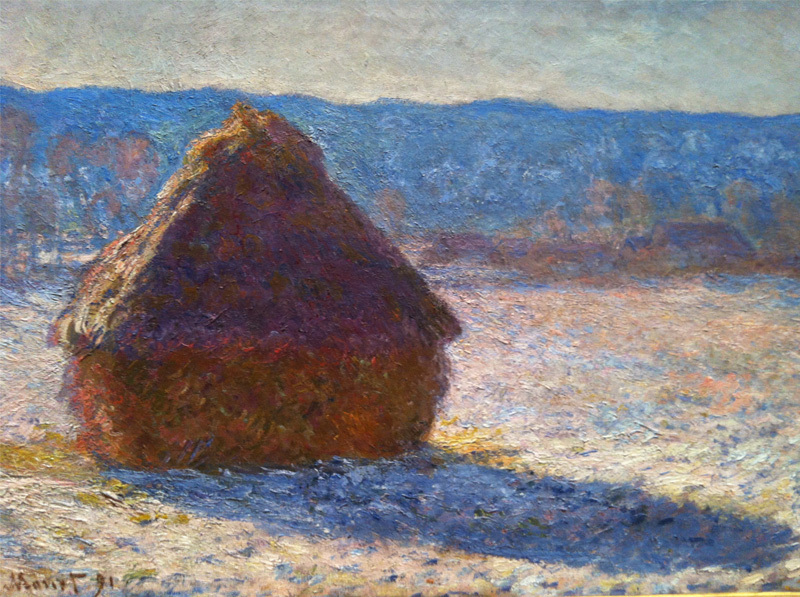 Claude Monet was constantly challenged with capturing fleeting moments like this in his Grain Stacks series. 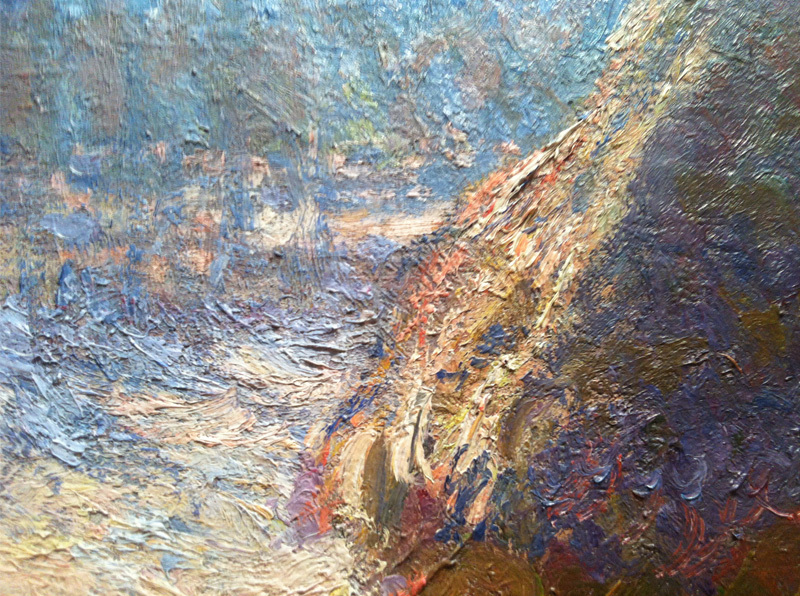 His goal was not to paint a generic landscape but rather to seize ever-changing atmospheric effects within a still painting. “For me it is only the surrounding atmosphere which gives objects their real value. 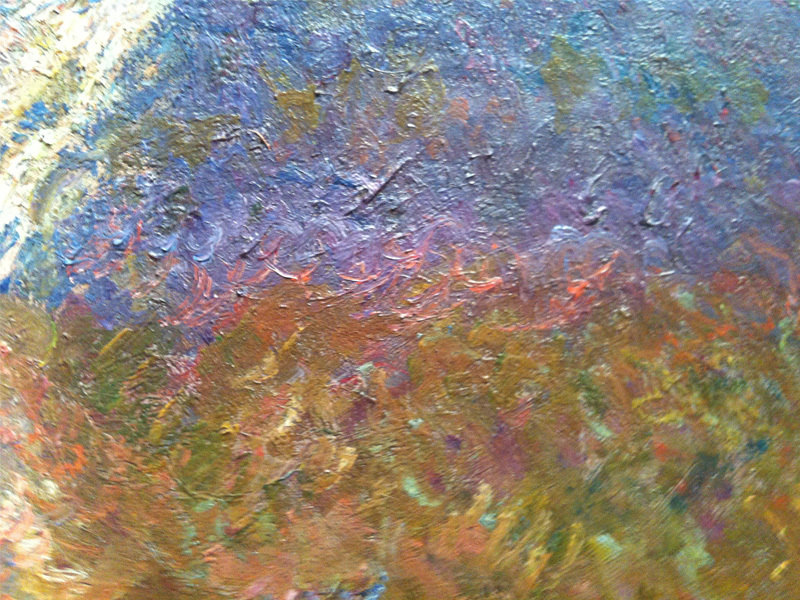 What I want to reproduce is what lies between the motif and me” (Claude Monet: a Ttribute to Daniel Wildenstein and Katia Granoff 2007, 204). 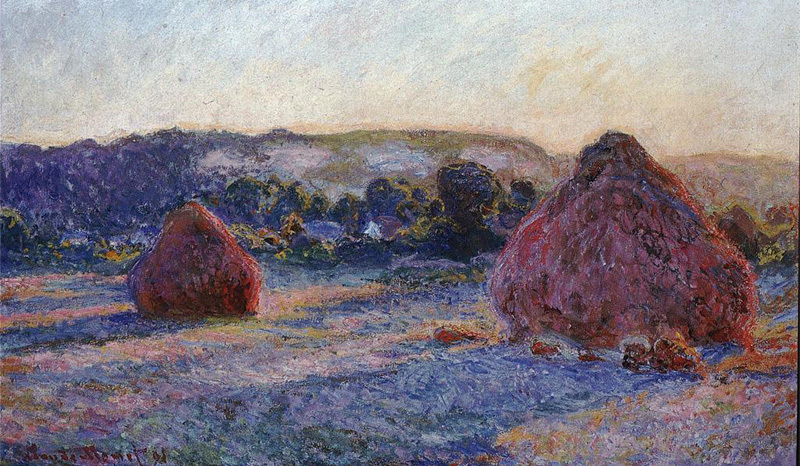 I would like to discuss Monet’s technique in creating spontaneity and the role that repetition plays in the overall success of these effects. 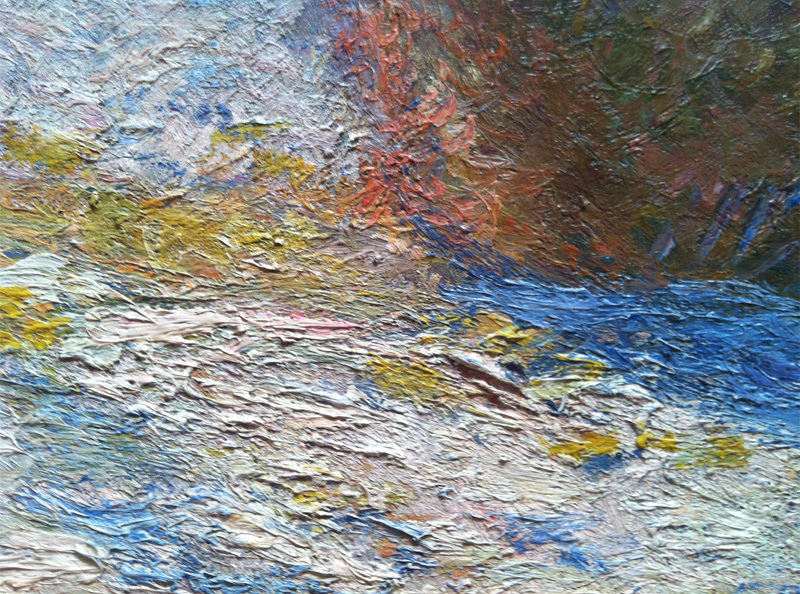 Without the use of repetition, one cannot fully appreciate the brevity of time in a still painting. Certain scenes can have a lasting effect unless it is compared it to another moment in time. 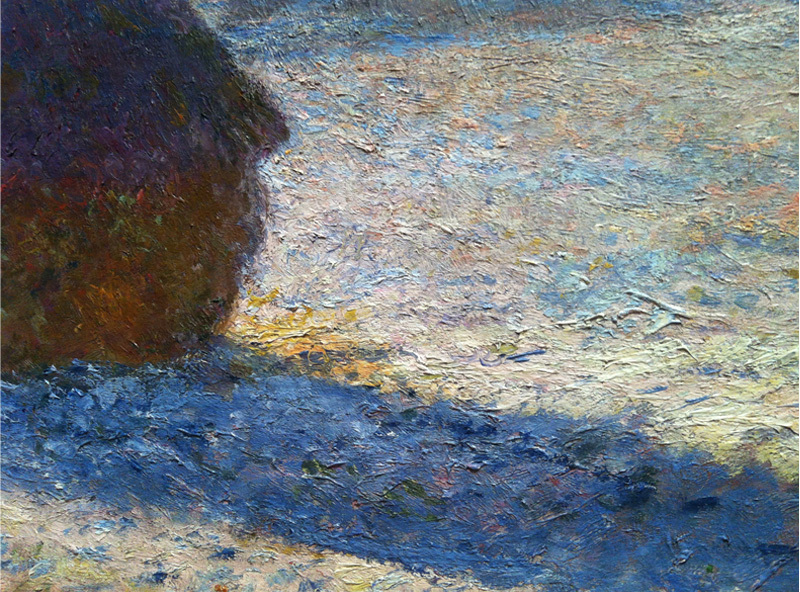 In his dexterous implementation of brushwork, color, and composition, Monet was able to manipulate temporal atmospheric effects in his series of Grain Stacks; but the true spirit of ephemerality lies within the series as a collective whole. Figure 5. Figure 6. Figure 7. 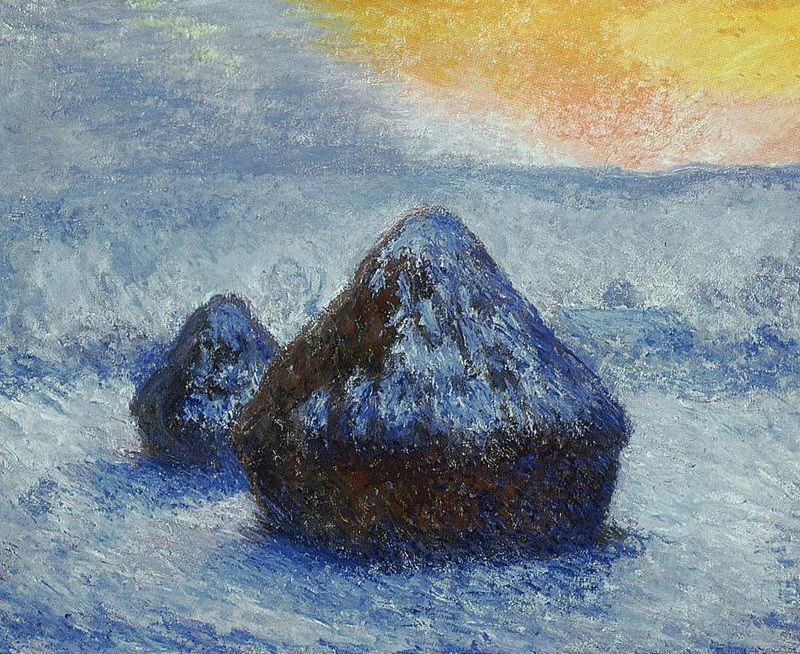 Claude Monet Grainstacks in the Morning, Snow Effect 1891.